Welcome to a first for my tried and tested series as it’s the first time I’ve featured a blogger rather than making something from a celebrity chef or a cookbook. 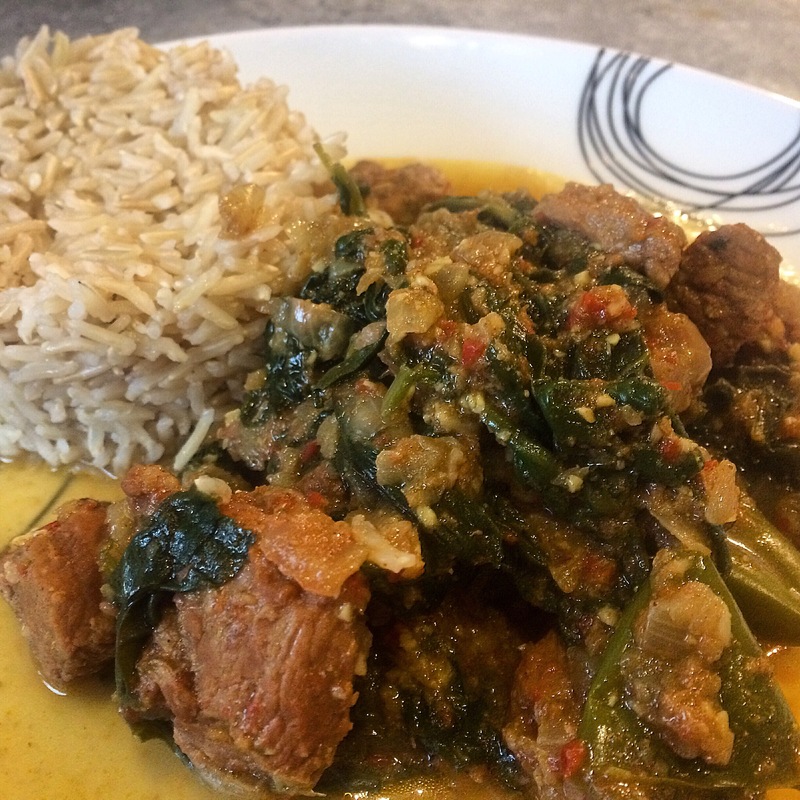 I’ve chosen to try out Corina’s Lamb Saag (lamb and spinach curry) from her blog Searching for Spice. I’m a regular reader of Searching for Spice and have been participating in Corina’s monthly Cook Once Eat Twice recipe link up challenge. I enjoy making curries but I have to confess, most of the time I use a ready made curry paste. Whilst I’ve got a cupboard stuffed with herbs and spices, I’m not familiar enough with the subtleties of blending the flavours to be able to concoct an amazing curry paste from my imagination, I feel I need to be guided as to what exactly I should pair with what, else every dish just ends up having the same generic ‘curry’ flavour. I’m a massive fan of spinach, it’s one of my favourite vegetables so it was that which first drew me to this recipe but I also really liked the idea that it was a mild curry still packed with lots of flavour. Everybody has varying levels of heat tolerance so this is a curry that would please everybody without someone struggling with the heat whilst someone else moans that it’s too bland. This curry is all about the flavours not the heat. One of my favourite aspects of this recipe was the use of whole spices, including whole chillies, which works brilliantly to gently infuse their flavour into the dish without overpowering it. I think I’ll definitely use this whole chilli technique in other dishes as you get the flavour, which I love, without upsetting people who less tolerant to the heat. The brave among you can also still get the heat factor by munching on the whole chillies if you wish to, I managed about half of one when we ate this! This recipe went down a storm with my family with lots of comments and questions about where I got the recipe from so it was definitely worth the switch from my usual ready made curry paste. This has inspired me to try more curries totally from scratch and also to feature more tried and tested recipes from other bloggers. I’m forever scouring other peoples’ blogs for ideas and inspiration and am continuously amazed by all the interesting and original ideas people come up with. I am so glad you liked this! It's one of our favourites too and is also great with chicken. I'll look forward to reading more of your posts in this series. Thanks, a proper curry from scratch made a really nice change at our dinner table and has definitely inspired me to do more! I usually do 'tried & tested' from chefs or cookbooks but since I get so much inspiration and ideas from other bloggers such as yourself, I thought it'd be nice to start featuring some bloggers that I like too!